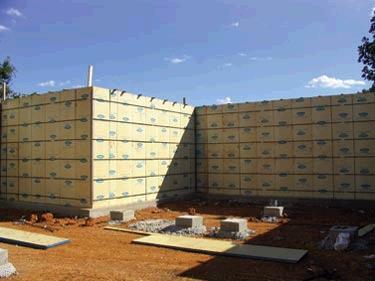 The flexibility of the Advance Concrete Form systems also offers various configurations to the builder. ADVANCE CONCRETE FORM WALL SYSTEMS offer variable heights so a homeowner can have a full eight to ten foot high ceiling in their basement. The Advance Forming System is very flexible and can accomodate most job applications. * Please call us for any questions on our 24 inch x 48 inch concrete wall forms advance rentals in Fort Madison IA, serving Southeastern Iowa and Western Illinois.